← Hands on a Hardbody + They Shoot Horses, Don’t They? Freethinkers are suddenly faced with mindless masses. Green Room is pretty much the greatest goddamn thing. The traveling punk band. When Nazis hijack your organization. Talking about punk rock, obviously. Generally mindless genre plus unique character equals suddenly amazing film. The niche need not apply to the audience. Needing to talk about Slither. 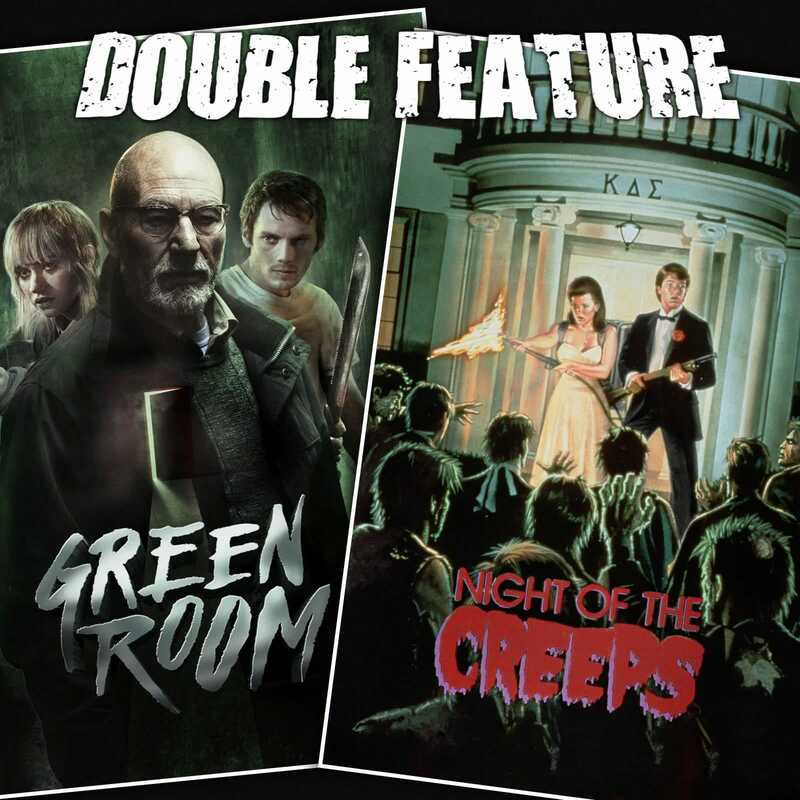 Where and how does Night of the Creeps fit into the 50’s, the 80’s, and genre flicks? Iconography, lasting image, and how to ensure no one steals you icon. Connections to classic and modern horror. Today’s audiences like Night of the Creeps even if they don’t know they like Night of the Creeps. Knock knock, who’s there SCARE CAT. This entry was posted in All Podcasts, Year 9 and tagged Fred Dekker, Jeremy Saulnier. Bookmark the permalink.